Nearly every garden has a hot spot with blinding sun and dry soil. 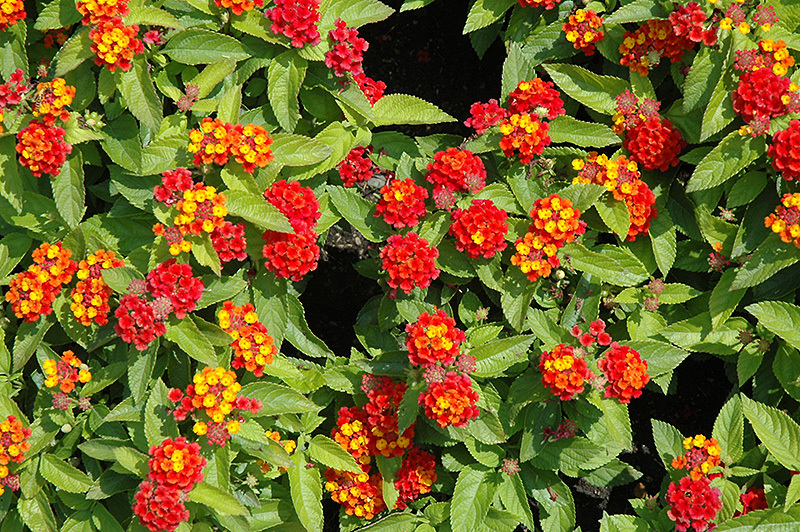 The Lucky lantana series can fill it with color all summer — and its flowers smell like honey! At 12 to 16 inches tall and 12 to 14 inches wide, plants in this series are neater and ore mounding than many lantanas, which tend to sprawl. Lantanas spread and weave, making nice bedding plants, like Sunrise Rose. Or enjoy them in a container on a sunny patio or by the front door — they’ll make a welcome burst of color all summer. You’re not the only one who’ll like lantanas, as bees and hummingbirds are drawn to the bright flowers. As you’re shopping, you’ll find Red Flame and you may also find Flame Improved, a newer cultivar with the same red and yellow flowers that bloom a little earlier. 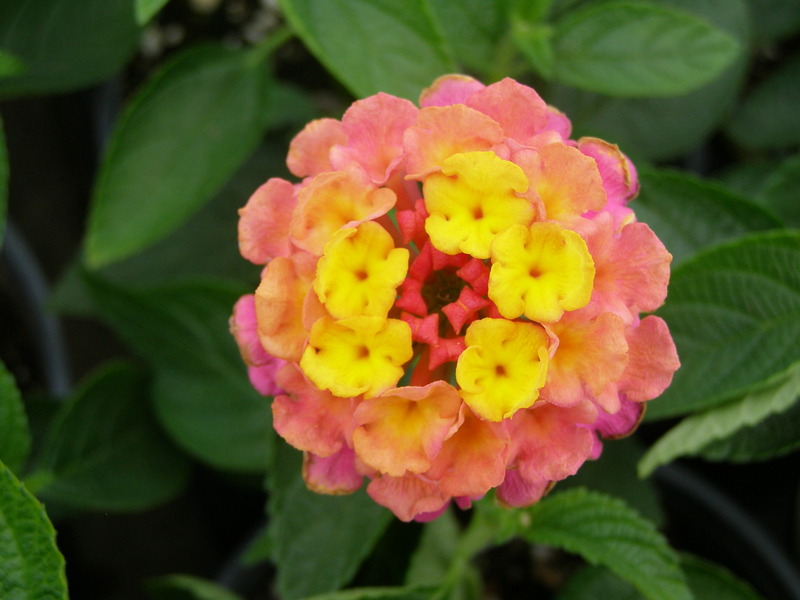 Lantanas are easy to grow, as they thrive on neglect. Keep them watered while they get established and prune off the little clusters of fruit, and they’ll reward you with months of color, even during dry spells!